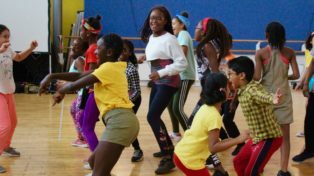 Participants in this class will explore ballet with imaginative exercises that will develop coordination, musicality, grace, posture and poise, enabling children to enjoy the social and physical benefits of ballet in a safe and positive environment. We welcome all boys and girls to come and join these fun and interactive creative ballet classes. What will participants learn in this class? 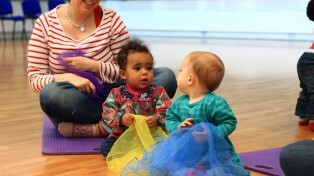 Children will develop social and physical skills from the ballet classes such as discipline, confidence, coordination, musicality, basic ballet technique, balance and posture. This will be in combination with creative and imaginative exercises throughout the session. Both toddlers and parents should wear loose comfortable clothing with bare feet or ballet shoes. 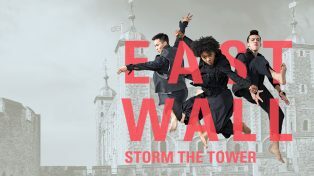 From grime to gospel, krump to contemporary East Wall will see over 150 dancers & musicians fill the Tower of London’s moat in a large-scale spectacle celebrating east London's diversity and rich cultural heritage.